Recently took a kinda-sorta journey into the past. 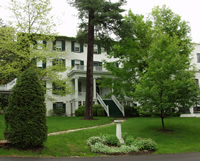 I was invited to spend a couple of weeks at a summer camp “Grier Summer,” at The Grier School – a girl’s boarding school in Western Pennsylvania. Before the days I was published, between the ages of 17-22, I spent my summers as a counselor at an 8-week summer camp. A very East-coast thing to do – send your kids away all summer. 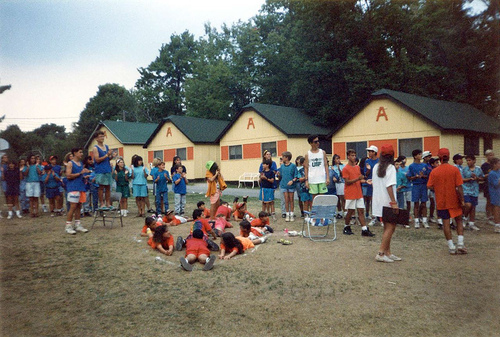 The camp was up in the Catskill Mountains, Kutsher’s Camp Anawana, on beautiful Lake Anawana (Yes, it’s a real place). I went there for five years as a camper. I was not a very good camper. It was a sports camp, and my coordination came late. Doing a decent layup on the basketball court might as well have been rocket science, and so I constantly felt at the bottom of the pecking order. I wasn’t exactly the last kid chosen for teams, but I would say I was in the bottom third. The camp plays, and swimming was where I really made my mark. But I digress. As a camper the experience wasn’t stellar, but I discovered quickly that I was a great counselor. I quickly established myself as the camp story-teller, and could command absolute silence just by my presence in a cabin. I made up camp songs that kids actually sang. It was really that storytelling experience that got me writing books for teens. So this summer, after years away from it, I took the invitation, and my daughters, my girlfriend, and I made our way to the beautiful hills of Birmingham, PA. I did ten days of writing workshops, as well as story-telling at night. 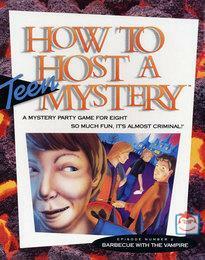 I even hosted a few of the “How to Host a Mystery” games that I had written. My daughters got to attend the camp, and had riding lessons every day. I even created a treasure hunt for the whole camp. It really connected me with my youth, and reminded me why I got started writing. I already miss it, and look forward to next year. The thing is – just yesterday I did a full-on no-holds-barred pitch of UNWIND to Universal, for consideration as a film. For once, I decided not to do the pitch sitting in a chair. I told the exec, that I was breaking from convention, and I was standing. Once I started, I got totally into it, just like I do when I’m story-telling, and I have to say it may have been the best pitch of my career. Sometimes we all have to connect to a place in ourselves that we may have forgotten. You can bet I’ll be doing a whole lot more storytelling. And now I have a brand new pitch style for the studios. You are currently browsing the Neal Shusterman's Blog blog archives for July, 2010.